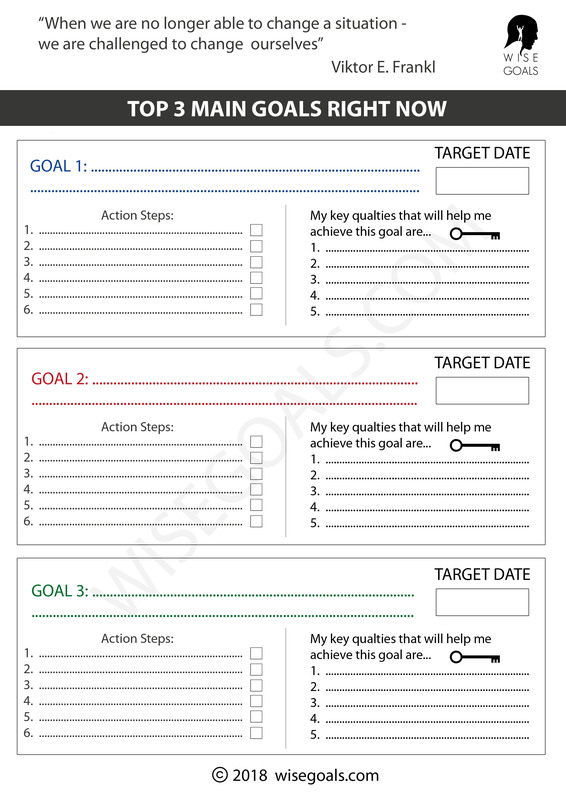 I always keep my worksheets simple and effective and this smart goal setting worksheet is no different. You can download the PDF below and also glance at a picture to see if this is what you are looking for before you download. A goal that is SMART has a much greater chance of motivating us so it really pays to take the time to think and find creative ways to make your goal easy to measure. Attainable is a bit of an awkward concept. Attainable we want but super easy we do not want. Reasonably challenging in a way only we know is right for us is the ideal. The most frightening part for us is often the timed part. Setting a date can be scary for sure. I guess because without the date there is no official point of failure; we have a goal but it's just not complete yet. However, I suggest that even when we do set a goal and don't reach it we are 100% not a failure!. The timed aspect is simply a tool that naturally creates increased inner motivation and creativity. We can set a date and time without a worry in the world and let it begin to work it magic on us. A blank copy of the worksheet above can be downloaded here for free. 1. 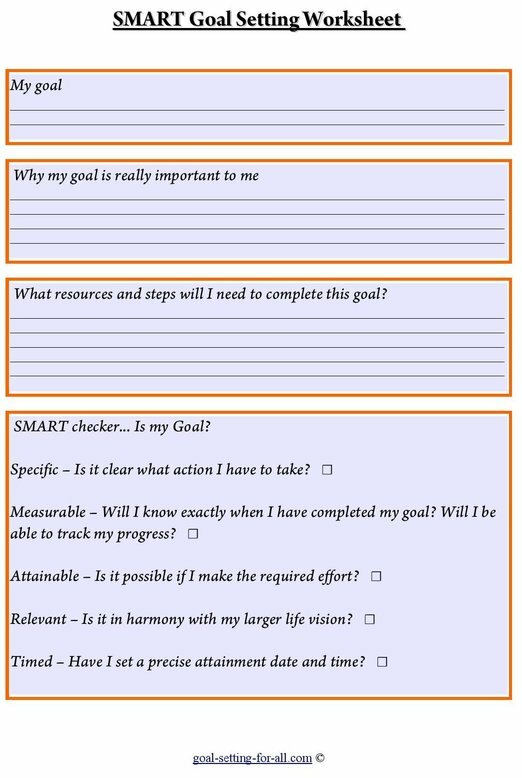 Once you have thought about and clearly established some solid SMART goals why not also print one of my goal setting worksheets and explore your goals in more ways there. I usually stick it on my wardrobe so I see it in the morning when I get changed and in the evening when I'm getting ready for bed. You may be thinking of a place you could put your goals now. It really makes a big difference when our goals and etched deeply in our life. 2. Make inspiration a part of your daily routine. As well as having goals that genuinely excite you reading something that motivates you to carry on can be a big help as well. I use this words of wisdom site, and this great quote site. 3. Be flexible and adjust your goals as necessary. Get the balance right so you feel proud of the efforts you are making while not obsessing over quick results.